We are fruitfully catering to the assorted demands of the customers by providing UPVC Pipe Fitting Clamps. 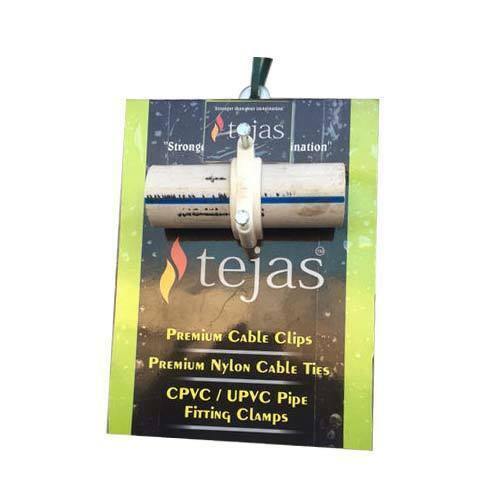 Established as Sole Proprietorship firm in the year 2006, at Ahmedabad (Gujarat, India), we “Chetanya Trading Co.” are a renowned Manufacturer, Wholesaler and Trader of a qualitative assortment of Cable And Wire Clip, Cable Ties, Pipe Fitting Clamps, Plastic Gitti, etc. Our offered range is widely acclaimed for its features like optimum durability, high strength and fine finish. Under the headship of, “Mr. Sonu Budhiraja” (Proprietor), we have achieved a noteworthy position in the market.